I've got a nice Martin compound but my shoulders won't let me draw it anymore. They are nice as well seen some on their website . are you going compound or traditional? The one I used the past two years after shoulder damage. I have been shooting my recurves again now that I can actually string them again. This one I bought and took off all the sights etc and shot it with fingers and instinctively. 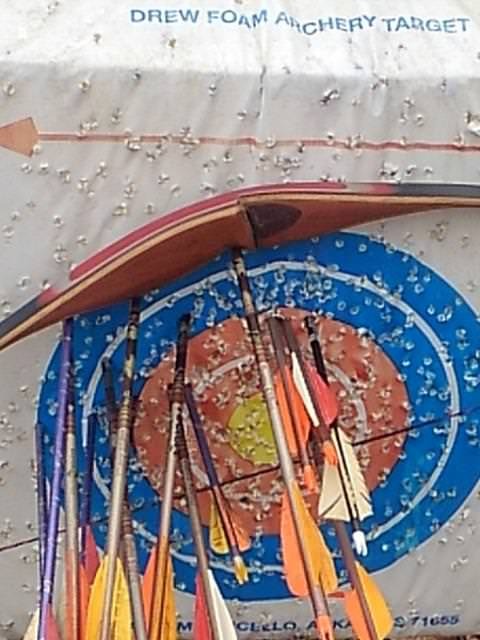 I had to do some research to find a bow that would allow me to shoot with fingers and not be pinched, which most seem to do because they are designed to be shot with releases. Hopefully will be back to using recurves strictly again this fall, but if not I will not let that stop me either. One does what one has to do to get in the woods. Last edited by lee1959; July 24th, 2018 at 03:28 PM.